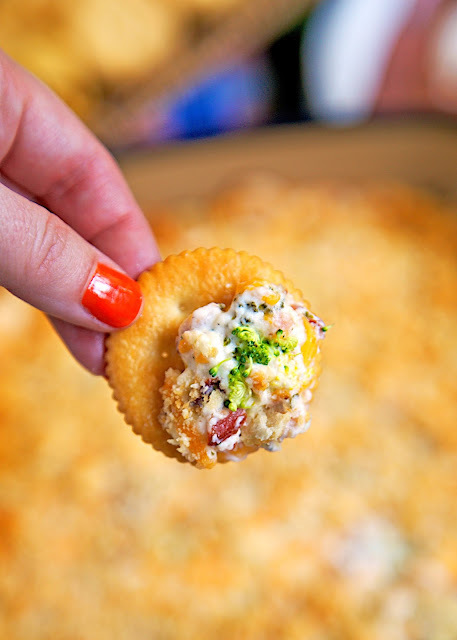 Cracked Out Hot Broccoli Dip - baked broccoli dip loaded with cheddar, bacon and ranch. SO addicting. Took this to a party and it was gone in a flash. Everyone asked for the recipe! 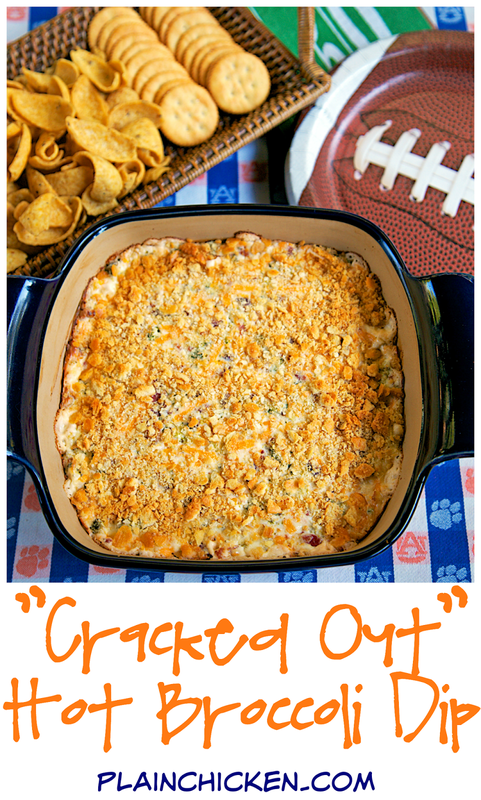 This "Cracked Out" Hot Broccoli Dip was a huge hit at our last football party. This is the best warm broccoli dip I've ever eaten. I don't even like broccoli and I ate a ton of this dip! I am sure it was because in addition to the broccoli there was tons of cheddar, bacon and ranch in the dip. 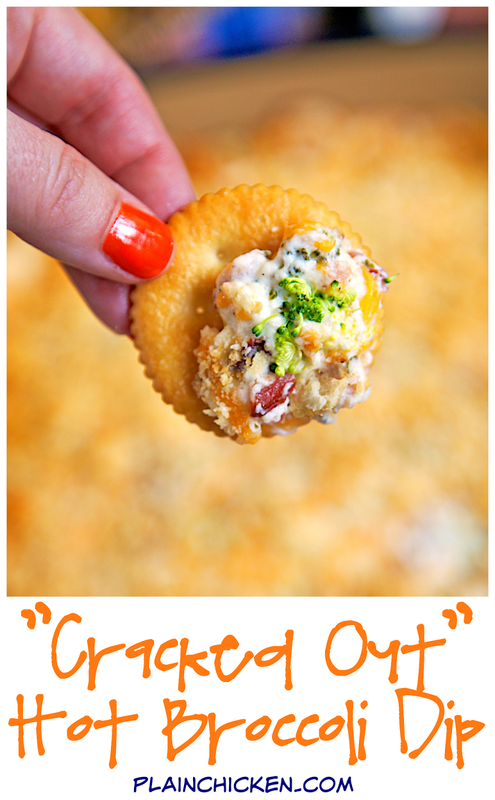 This "Cracked Out" Hot Broccoli Dip was gone in a flash! Everyone asked for the recipe. We served the dip with some Ritz crackers, Fritos, and tortilla chips. Next time I will double it! The dip can be made ahead of time and refrigerated overnight before baking. The dip uses fresh broccoli. I used only the florets and chopped it pretty fine. I didn't want there to be big hunks of broccoli since this was a dip. I wanted to make sure that there was broccoli, cheddar and bacon in every bite. Cleanup was a breeze. I tossed all the broccoli stalks into the sink and let my awesome new InSinkErator Evolution Excel garbage disposal do all the work. I put the bowl in the dish washer and the kitchen was cleaned up in a minute. LOVE! 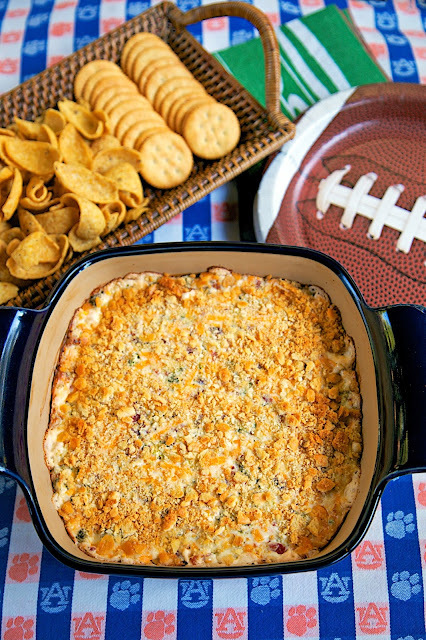 Every recipe on my football game menu for tomorrow is one of yours. Thanks! Pinning this now, looks delish! Did you add bread crumbs over the top of the dip? If so, when was it added? I added crushed Ritz crackers before I baked it - I forgot to add that to the ingredients. Thanks! I updated it. This dish was delicious!! Its good all by itself, you don't even need chips/crackers to dip with! !